* Lawyer – Senior Partner, LS Lexjus Sinacta. Professor of Air Law – University of Bologna, Italy. For many years drones have been widely used for military missions. More than 30 nations are developing or manufacturing over 250 drone models and over the next few years the development and operation of European unmanned aircraft – either military or civilian – will be one of the most important challenges and, at the same time, one of the biggest opportunities for the European Community and its industries, allowing them to stay in the vanguard of technological and commercial development in the aerospace industry. 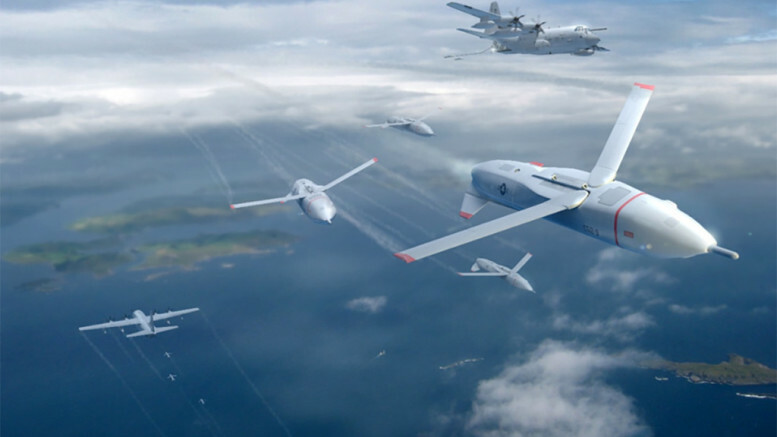 Whereas the military drones market has been steadily growing, civil drones operations have developed quite slowly, due, to some extent, to the lack of a regulatory framework. The civil use of drones could be significant and extensive: policing activities, traffic management and monitoring, fisheries protection, pipeline surveying, coverage of large public events, border patrol, agricultural management, power line surveying, aerial photography, global environmental monitoring and security related operations and many other possible applications. However, these vital activities can only be carried out if drones are able to fly with other air traffic, beyond segregated areas and within national or international airspace. Where it has been identified that existing regulations cannot accommodate civil drones, a regulatory framework needs to be developed to determine what technologies or procedures are essential for achieving the objective of a safe introduction of drones for civil purposes. The absence of a clear legal framework has recently forced the European Union and international organisations and institutions to address the matter of regulation, highlighting the numerous legal problems created by their use. This article will examine the recent interventions of the European institutions, which show the EU’s awareness in setting up a framework regulation in order to allow this new type of aircraft to fly in the common airspace. Nevertheless, awareness is not enough for achieving this objective when the legal instruments remain unclear. In the following pages, we will try to identify some of them. 1. In 2013, the European Commission published the official document (Roadmap) for the integration of civil drones into the European common airspace. The three key areas examined by the document are: certification of the system (aircraft, ground infrastructure and operator and pilot licences), technology (Detect & Avoid, telecommunications) and the social impact or dimension (liability, insurance, privacy and data protection). The Roadmap also contains an important political aspect proposed by the stakeholders involved in drafting it: the social acceptance of this new device. Stakeholders are perfectly aware that society is reluctant to accept any new technology with associated risks like drones; the consequence of this is that citizens will require higher safety standards for drones than for manned aircraft. This concern expressed by the Roadmap is of particular importance and implies robust technical and legal framework regulation, especially regarding the legal instrument for identifying liability in the event of accident and assessing the recoverable damage. Therefore, one of the major facets of the social dimension of drones is a liability and insurance system. Liability for damage to persons or property can occur as a result of an incident or accident caused by drones. It requires a number of issues to be resolved, such as the identification of the liable party, the liability regime applicable to the liable party and insurance provisions applicable to civil drones. In the absence of dedicated provisions for civil drones, in order to identify liability and a compensation system, we may refer to the air transport sector that offers a vast regulatory framework which includes the 1952 Rome Convention, based on aircraft operators’ strict liability. We will often refer to the Rome Convention, as we believe that its principles can be a solid base for future European regulation of civil drones. However, designing a proper and harmonised set of rules for drones is not easy. Nevertheless, in the following pages we will try to identify some legal solutions in order to take a step forward in settling the major issues regarding the insertion of civil drones into the common airspace. 2. The European position on the future market and use of civil drones is expressed in the EU Commission’s Communication 207 to the Parliament and the European Council of 08 April 2014. This document recalls that drones are already being used for civil purposes and are expected to have an increasing influence on our daily lives. The EU Commission emphasises that technologies should in the coming years lead to the development of a wide variety of different services, especially if combined with other technologies such as precision positioning thanks to Galileo or to support from other technologies such as telecommunications in disaster relief situations or in dynamically increasing the network capacity. Given such a scenario, the industry is expected to generate sufficient revenue to drive forward the manufacturing industry itself. The EU Commission is aware that the expansion of the drone market is inhibited by the absence of an adequate regulatory framework that needs to be clearly designed to ensure that drones do not represent a threat to citizens’ privacy or physical integrity. A number of Member States have started developing national rules in order to facilitate this process, but we think that in the absence of European regulation to be developed by EU bodies, a true European market will not emerge. 3. After having described all the major issues for safe and sustainable development of the drone market, the EU Commission has identified six actions for complete integration into the common airspace, and remains responsible for the implementation of such actions. In brief, the actions are: the EASA will develop guidelines for implementing rules, based where possible on international processes, proportionate to risk and subject to effective consultation (Action 1). The Commission will ensure that the technologies needed for the integration of drones are considered in the SESAR 2020 Programme (Action 2). The EU will ensure that security aspects are covered during drone operations in order to avoid unlawful interference, so that manufacturers and operators can take the appropriate mitigating measures (Action 3). The Commission will assess how to make sure that drone applications comply with privacy and data-protection rules (Action 4). The Commission will ensure that the current liability regime and insurance requirement will be carefully evaluated and, if needed, appropriate actions will be taken “to ensure that adequate regulatory provisions are in place” (Action 5). Specific actions under Horizon 2020 and COSME to support the development of the drone market will be suggested by the Commission (Action 6). As we can see, liability and insurance regulations are of paramount importance to designing a complete regulatory framework for drones. While awaiting the response from the EU Parliament and the European Council in order to approve the actions proposed, the Riga Declaration (1) was issued in March 2015, shared by the EU Commission and the major stakeholders of the drone sector. 4. Regarding our topic, it is important to recall that the Declaration suggests: “the basic regulatory framework should be put in place without delay, in order to help the private sector to take well-informed investment decisions, and to provide a basic set of rules for the many operators who are increasingly eager to begin providing services”. In order to speed up the process, another important statement by the Riga Declaration is that drone services “must not be less safe than is accepted from civil aviation in general” (…). “The way safety is regulated must be proportional to the operational risk involved. Rules should be simple and performance-based…”. In essence, the Riga Declaration fixes three basic criteria: a regulatory framework is the precondition for the development of the drone market; this future framework regulation should not penalise the drone sector only because new technologies are developing; the principle of proportionality should be applied. There is no doubt that a legal framework is needed, incorporating all the elements required for manned aircraft, such as: airworthiness, certification, pilot training and licensing, and also a civil law that clearly defines responsibility and consequently establishes a civil liability regime for third-party damage and an appropriate insurance cover for guaranteeing compensation for victims. 5. The present legal framework for the use of civil drones offers a limited number of references. The most important one is certainly the 1944 Chicago Convention, which introduces (Art. 8) a flyover prohibition for unmanned air vehicles without a specific authorisation by the flown-over State (2). Article 8 states: “No aircraft capable of being flown without a pilot shall be flown over the territory of a contracting State without special authorisation by that State and in accordance with the terms of such authorisation. Each contracting State undertakes to ensure that the flight of such aircraft without a pilot in regions open to civil aircraft shall be so controlled as to obviate danger to civil aircraft”. From this ruling, it is clearly apparent that consent to fly over contracting States is only granted when a few conditions are met, like authorisation from the flown over State, respect for flyover terms, commitment of the flown-over State to take all necessary measures to ensure that the flyover in airspace that is open to civil aircraft does not affect their safety. 6. It is clear that the pre-conditions for authorising a drone’s flyover are varied and involve the adoption of complex initiatives aimed at guaranteeing the safety of the related operations as prescribed by the Chicago Convention. To this end, the international rules require submission of the relevant authorisation request demonstrating that the drone complies with airworthiness rules as stated, for example, by Articles 20 and the following, and Articles 29 and the following of the Chicago Convention as well as with the relevant ICAO Technical Appendices, issued for putting such rules into effect (3). The aforesaid articles require, for example, the possession of an airworthiness certificate, an ordinary licence for the crew, the onboard documents, etc., as well as acknowledgment of their validity by the contracting States. While for ordinary aircraft this procedure has been followed since the adoption of the international regulation and has received a strong boost thanks to a recent intervention by the European Union, for unmanned air vehicles no rules have been drawn up to date for obtaining acknowledgement by the contracting States and release of the relevant authorisations. This is the deficiency that has been recognised by the EU Commission in sending Communication No. 207 of 2014 to the EU Parliament and European Council. Only the National Aviation Authorities (NAA) of some Member States have introduced provisions for drones below 150 kg regarding certification, licensing, third-party liability and insurance. To design this legal framework, the NAAs have made reference to EC Regulation 785/2004 on insurance for air carriers and aircraft operators, which defines requirements for third-party liability insurance for manned aircraft operators, based on the maximum take-off mass (MTOM). In fact, the recent national regulations on drones do not provide rules for third-party liability specifically for surface damage caused by drones, except in some cases such as Italy where the national legislature has introduced specific norms for drones, as we will see in the following paragraphs. Therefore, in applying EU Regulation 785/2004 when designing a set of rules for drones below 150 kg, the NAAs have made reference to the legal principle of strict liability, recognising its applicability regarding the identification of the liable party as the operator of the system, who is obliged to insure a third-party liability risk. All of the above demonstrates that no harmonised rules on third-party liability and insurance for drones exist at the European level and that the regulatory framework set up by some countries would seem to be insufficient. 7. These are the conclusions of the Study on the Third-Party Liability and Insurance Requirements of Remotely Piloted Aircraft Systems which reads as follows: “At present, there is no harmonised regime, either in the EU or internationally, for liability for damage to third parties caused by RPAS (or manned aviation). Provisions therefore depend on national law and vary between Member States. In the majority of EU Member States, but not all, national law defines that the liability regime for RPAS is strict (meaning that the defined party is automatically liable for damage, without there being any need to attribute fault)”(4). 8. Having said that, it is vital to identify the problems arising from lack of harmonisation of third-party liability in the EU. There is no doubt that in the absence of EU regulation it would be difficult to identify the operator and, if identified, the process for obtaining compensation for victims could be lengthy and complex, and could involve a court case. Moreover, since there are no provisions requiring the application of Regulation 784/2004 to unmanned air vehicles, there is no certainty that the operator would be insured for third-party liability risk or that the insurance taken out covers this risk. Moreover, there is also the issue of lack of protection arising from the illegal use of drones, such as for privacy, data-protection and security reasons. The reasonable solution for overcoming this lack of regulation, particularly with regard to liability and insurance, ad in order to protect persons and properties on the ground from damage, is to refer to the existing set of rules for manned aircraft. However, in the following chapters, we will show that no harmonised rules either for manned aircraft or for third-party liability exist in Europe. 9. In the process of setting up a suitable regulation for drones, we have pointed out how important it is not to overburden the sector. In other words, the risk of unfairly penalizing the drone sector should be avoided and requirements for drone regulations and procedures for ensuring the safety of such flights should be as similar as possible to those existing for manned aircraft. In fact, the Chicago Convention simply establishes that drones must meet the same safety standards as manned aircraft. Actually, Article 8 of the Convention, in referring to drones, uses the word ‘aircraft’, even if pilotless. This leads to the maximum adoption of existing legal principles and framework regulations for manned aircraft in order to avoid creating regulations exclusively designed for drones. As an example, the European institutions believe that drones, as far as ATM is concerned, will have to comply with the regulations in force for manned aircraft (5). The same criteria should be followed for designing a framework regime on civil liability. Therefore the first step towards thirdparty liability regulation is to verify whether the EU Member States have adopted principles for regulating this particular aspect of liability for manned aircraft. Unfortunately, these principles are common only to a few Member States. In other words, no harmonised regime for liability for damage to third parties caused by manned aircraft exists at the EU level. 10. Indeed, the 1952 Convention on Damage Caused by Foreign Aircraft to Third Parties on the Surface signed in Rome on 07 October 1952, commonly called the Rome Convention, failed to attract widespread support, as only four European Member States have ratified it and none has ratified the Protocol (6) because the limits for compensation were considered unsatisfactory in comparison with national safeguards of the interests of third parties and because only one jurisdiction is provided, namely the State where the damage occurred, unless an agreement is reached between one or more claimants or defendants in favour of any other contracting State. The Rome Convention is characterised by the principles of strict liability, regardless of the negligence of the liable party; it implies the identification of the (sole) liable party in order to channel the liability. Its liability has very few exemptions (contribution to the damage by the person claiming compensation or third parties who have contributed to causing the damage, etc., or if the damage is the direct consequence of an armed conflict or disturbance or if the operator has been deprived of the use of the aircraft by act of public authority). Compensation for damage is capped, with parallel compulsory insurance by the liable party, up to the limit of the liability. These principles are very familiar to Member States, as they have ratified various international conventions on civil liability for damage. For example, the 1979 Convention on Civil Liability for Oil Pollution Damage, as modified by the 1992 Protocol of the 1971 International Convention on the Establishment of an International Fund for Compensation for Oil Pollution Damage (FUND); the 1963 Convention on Civil liability for Nuclear Damage; the 1996 International Convention on Liability and Compensation for Damage in Connection with the Carriage of Hazardous and Noxious Substances by Sea. International civil liability conventions generally provide for the application of a liability regime that is normally ratified by the majority of European Member States. 11. These international treaties, which regulate civil liability for damage for catastrophic events (as the damage caused by an air accident is normally considered) have in common some of the principles listed here above. For example, liability (strict) is channelled to a single liable party, and limited (first tier). Compulsory insurance by the liable party is envisaged up to the limit of the first tier with a direct claim against the insurer. Supplementary compensation is provided for if the damage exceeds the first tier (second tier). Since the principles in common with the Rome Convention are already applied by Member States to international cases, we believe that they could become principles characterising a future European regulation for a third-party liability regime for drones. 12. As anticipated here above, liability for damage to persons or property that can occur as a result of an accident caused by a drone requires a number of issues to be resolved, such as the identification of the applicable law(s) and jurisdiction. Another problem relates to the definition of reimbursable loss. It is common knowledge that this is one of the most controversial aspects of legal theory, and it has given rise to a variety of national and international laws. Among the main issues, definition of the liable party is certainly one of the most important. It is evident that accidents that could occur from the future use of drones flying in the common airspace are likely to involve the interests of several parties and a number of jurisdictions considering the peculiarity of its system that may involve people from different countries. In such circumstances, due to the absence of harmonised legislation, many difficulties could arise in the effort to solve legal problems. 13. One of the first issues to be analysed for a future framework regulation for civil drones is the identification of the applicable jurisdiction. In many legal systems, the place in which the incident occurs is the criterion for establishing the applicable jurisdiction. But this is also what Article 20 of the Rome Convention establishes. Considering the complexity of a remotely piloted aircraft system characterised by a vehicle and a ground infrastructure/station (which could be located in an area far from the airspace in which the drone is flying), a clear identification of the applicable jurisdiction may avoid uncertainties in the event of accidents occurring outside the country where the ground station is based. In this situation, uncertainties might derive from the absence of a single criterion for identifying the applicable jurisdiction. Moreover, the involvement of numerous jurisdictions implies problems such as different decisions and high costs connected to judicial procedures. 14. A second problem is the definition of the ‘damage’ to be compensated. A harmonised legal framework would offer the indisputable advantage of identifying cases in which parties are eligible for compensation and restricting the number of disputes that could arise from state provisions. Identifying the extent to which victims’ claims can be accepted is equally difficult. The absence of a framework of uniform rules may cause disparity in treatment between those injured parties who, under certain systems, benefit from indemnity for indirect damage, and those injured parties whose legal system only recognizes indemnity for damage that is a direct and immediate consequence of an incident. General principles applied by international treaties establish the compensation for material losses as represented by physical damage derived from personal injury or loss of property. On the basis of these general principles, a suitable framework regulation should cover loss of life and personal injury; loss of/ damage to property; economic loss arising from the above loss or damage, if incurred by a person entitled to claim in respect of such loss or damage. Moreover, it is important to recall that personal injury is defined as any physical damage with the exclusion of any psychological damage. It is reasonable to believe that the future set of regulations for drones should aim at creating a fair balance between the protection of victims (e.g. the channelling of liability and a strict liability regime) and the financial interests of the players (operators, manufacturers) in the marketplace (e. g. limitation of compensation). As mentioned before, another important issue arises from the fact that since a drone is a technologically advanced system, it is not easy to identify the liable party, especially in the absence of clear uniform legislation. In this context, the various compensation proceedings pursued by damaged parties could face problems, especially if an action is brought against a party which, being in a weak financial position, is unable to meet reasonable reimbursement expectations. 6. Are the principles of the Rome Convention 1952 suitable for regulating TPL for the use of drones? 15. On the basis of the above analysis it should be decided whether the principles of the 1952 Rome Convention could be considered applicable to incidents involving drones. The Rome Convention does not contain any reference to drones. However, some scholars interpret its regulations as applicable to all kinds of air vehicles, provided they are ‘usable for transport’ (7). Whenever the notion of aircraft is interpreted broadly (as is the case with the 1944 Chicago Convention and Regulation 216/2008/EC), the set of regulations contained in the 1952 Rome Convention may apply, taking into consideration the aforesaid principles which suggest the application of the existing rules, duly adapted to the uses of drones. The Italian legislature, for example, has come to the same conclusion and has amended Article 743 of the Navigation Code. After having defined an ‘aircraft’ as “every machine for air transport of persons and goods”, Article 743 specifies that “remotely piloted air vehicles are also considered aircraft…” As a consequence of this similarity, all provisions of the Italian Navigation Code on manned aircraft are also applicable to unmanned aircraft. 16. Applying the same set of regulations on civil liability for damages caused to third parties by drones involves distributing liability between the pilot in command of the aircraft and the operator. The pilot is usually liable under public law, as legal systems generally impose on the person in physical control of the aircraft the responsibility for the observance of such obligations. In contrast, the liability for any other obligations, whether contractual or extracontractual, is expected to fall on the operator. Accordingly, the Rome Convention places liability for damage to third parties on the operator. 17. Therefore, considering the complexity of drones, it is vitally important to make a clear distinction between the person who has the authority to direct a flight (pilot in command) and is responsible for the operations of the aircraft in accordance with the rules of the air, and the legal entity operating a drone (operator). In keeping with this concept, the roles of the drone operator and pilot in command must be defined in terms that make application of the existing conventions possible. The traditional approach to this involves distributing liability between the pilot in command of the aircraft and its operator. The pilot is usually liable under criminal law, as legal systems generally impose responsibility for the observance of such obligations on the person in physical control of the aircraft. In contrast, the operator is usually liable under civil law. Until recently, EU institutions have clearly suggested considering the unmanned aircraft system as a single entity (vehicle, control stations, system elements such as communication links, launch and recovery equipment etc.) while creating a set of regulations for this kind of aircraft. As a consequence of this concept, the roles of the unmanned aircraft operator and pilot in command should have been defined in relation to the system. The figure of the pilot can be identified as the subject to whom is entrusted the command of one or more aircraft owned by or at the disposal of the operator. However, the matter is still being debated and some experts have recently suggested considering the drone and the ground station as two separate entities. 18. According to the above, liability for damage caused on the surface by a drone accident should be attributed to the operator, who is the person or entity that, on the basis of Article 2 of the Rome Convention, has set up the unmanned aircraft system, ensures its functioning and makes known his or its status as operator so that the aircraft’s registered owner is not wrongly presumed to be its operator. The operator’s liability does not depend on personal responsibility (negligence or wilful misconduct). Therefore, it is strict liability based on the risk inherent in a lawful activity. The regulation relating to liability for surface damage to third parties is applicable any time an aircraft falls and causes damage to persons or property, even for reasons beyond the operator’s control. In these cases, the operator is liable on the basis of a strict liability regime (which is alleviated by some exceptions listed in the Convention). The application of the Rome Convention, based on the aircraft operator’s strict liability, includes a debt limitation scheme for incidents. The Convention establishes the amount of financial compensation to be paid on the basis of the weight of the aircraft that caused the damage. 19. This is another aspect that must be analysed for any future legal framework, as even a ‘light’ drones could cause a considerable amount of damage (for example, crashing into the engine of a commercial aircraft). Therefore a compensation mechanism based on the weight of the aircraft is not suitable for determining the debt limitation for damage caused by the drone operator and should be designed expressly for drones. In early 2000, the ICAO Legal Committee started considering a revision of the Rome Convention in order to strengthen the protection of victims on the ground. After the terrorist attacks in 2001, a revision appeared to be urgently needed by the insurance industry and airlines as well, which were interested in protecting their economic interests against disaster risks. The problem was that imposing strict liability on carriers for uninsurable catastrophic risks would have prevented achievement of the compensation goals, since the carriers would be bankrupted were a catastrophe to occur. The working groups understandably gave much attention to the introduction of a regime to deal with terrorism, ultimately producing two separate Conventions: the Convention on Compensation for Damage Caused by Aircraft to Third Parties, and the Convention on Compensation for Damage to Third Parties Resulting from Acts of Unlawful Interference Involving Aircraft, drafted in Montreal on 2 May 2009. The latter included a scheme to develop a permanent fund managed for the purpose of compensating losses caused by terrorist activity. However, these Conventions were opened for signature in 2009 and have not yet come into force on account of lack of sufficient support and it seems unlikely that they ever will. No EU Member State, or any of the other countries with the largest aviation market, has signed either Convention. In the process of setting up the framework regulation on third party liability as suggested by the European Union, some principles of these Conventions could be taken into consideration as drones could be used for terrorist activity. 20. In light of the above analysis, is it possible to apply these principles of protection to victims of a drone accident in the EU? It is easy to give an answer to this question considering that only a few Member States have ratified the Rome Convention. In the EU, there are no harmonised rules on third-party liability in the event of damage caused by manned or unmanned aircraft where a wide interpretation of the word aircraft is applied. As seen before, Regulation EC/785/2004 on insurance in respect of third-party liability is the only harmonised regulation on civil liability of the operator for surface damage, but it only introduces a compulsory insurance system, not a third-party liability regime. We can therefore conclude that Regulation 785/2004 is insufficient for covering (and harmonising) all aspects regarding TPL for damage caused by drones. In such a situation, it appears necessary to investigate any possible legal solution in order to have a harmonised legal framework on third-party liability and insurance. 21. No market for new products like drones can develop without a clear regulatory framework, which includes provisions for damage caused to persons or property on the ground. The absence of rules clearly identifying the damage to compensate, the victims and the amount of compensation prevents the insurance market from covering the risk. This is what operators, manufacturers and insurance companies are looking for. We have seen that EU Member States are very familiar with the provisions of civil liability for catastrophic events. Indeed, although there are no specific harmonised rules governing the civil liability deriving from damage caused by drones, a consistent number of European Member States have ratified international conventions concerning compensation for damage deriving from catastrophic accidents. All these international conventions have been listed above. 22. The fact that EU Member States have become party to international treaties (8) characterised by the principles that are also incorporated in the Rome Convention allows the conclusion that Europe may find the right solution for setting up a framework regulation for the use of civil drones in common airspace. For this reason, it would be desirable to amend the conclusion of the Study on the Third-Party Liability and Insurance Requirements of Remotely Piloted Aircraft Systems (2014), which affirms “we recommend that there should not be any attempt to harmonise third-party liability regimes across the EU”. 23. Among the various solutions for a harmonised regulation on third-party liability for unmanned aircraft (but it could be useful also for manned aircraft) could be for the EU Member States to apply the Rome Convention as national law. As mentioned before, an example is offered by the Italian Navigation Code, which enlarges the definition of aircraft to include drones and establishes that liability for surface damage caused by an aircraft is subject to the international law in force in Italy (which is the Rome Convention) (9). In 2005 and 2006, the Italian legislature proposed a new definition of aircraft and, as a consequence of this decision, Article 743 of the Navigation Code now states: “Also considered aircraft are remotely piloted aircraft systems, as defined by specific laws and regulations issued by the CAA and for those military ones as defined from the decrees issued by the Ministry of Defence”. The consequence of this decision is that all rules established by the Code for manned aircraft are, as far as is possible, applicable to unmanned aircraft. On the same occasion, the Italian legislature also amended the rules related to operator’s third-party liability for damage on the surface. The new version of Article 965 of the Italian Navigation Code establishes: “The liability of the operator for damage caused by an aircraft to persons or goods on the surface is subject to the international law in force in the Republic, which shall be applicable also to damage caused in the national territory by an aircraft registered in Italy”. The international law in force in Italy is the 1952 Rome Convention that was ratified in 1963. As a consequence of these amendments, aircraft registered in Italy, whether manned or unmanned, are subject to the same regulation, the Rome Convention that is applicable as national law (10). 24. Another solution could be for the European Union to set up a regulation on compensation for damage to third parties caused by aircraft (the legal basis could be Article 100 TFEU) and, on the basis of this exercised competence, to claim exclusive power to conclude international agreements in this field (Art. 3.2 (11)). Therefore, the European Union may approve the Rome Convention and make it applicable by all Member States. That, for example, is what happened in relation to the Convention for the Unification of Certain Rules for International Carriage by Air (the Montreal Convention), where in the late 90s, the Council approved Regulation (EC) No. 2027/97 on air carrier liability in the event of accidents (amended by Reg. 889/2002) (12). In the same period of time the European Union ratified the Montreal Convention by Council Decision 2001/539/EC of 05 April 2001 (13). This means that there is a complete harmonised regulation applicable to European air carriers at the European and international level. Another example is offered by the Protocol of 2002 to the 1974 Athens Convention relating to the Carriage of Passengers and Their Luggage by Sea. The majority of the rules of the Athens Protocol have indeed been incorporated into Union law by means of Regulation (EC) No. 392/2009 on the liability of carriers for transport of passengers by sea in the event of accidents. Through this process, the European Union exercised its competence regarding the matters governed by the abovementioned Regulation, while it established that Member States maintain their competence in relation to a number of provisions of the Athens Protocol, such as the opt-out clause whereby they are allowed to fix limits of liability higher than those prescribed under the Protocol. It is important to underline that, on such occasions, the matters remained within the competence of Member States under the Athens Protocol and that those still falling under the exclusive competence of the Union are interdependent. Therefore, in areas of their competence under the Athens Protocol, Member States should act in a coordinated way, taking into account their duty of sincere cooperation, as expressly introduced by the Lisbon Treaty of 2007. After this process the European Union ratified the 2003 Protocol to the 1974 Athens Convention relating to the Carriage of Passengers and Their Luggage by Sea, as per the Council Decision of 12 December 2011 (14). Following those examples, in our case the European Union should acquire internal Community competence in the field of liability for drones which can provide an opportunity to claim exclusive competence also for external activities in the same field. That is what the European Court of Justice underlined on the occasion of the decisions taken against Member States that concluded bilateral ‘open skies’ agreements with the United States of America against EU principles established in EU Treaties. The ECJ established: “The Court has already held, in Paragraphs 16 to 18 and 22 of the AETR judgment, that the Community’s competence to conclude international agreements arises not only from an express conferment by the Treaty but may equally flow from other provisions of the Treaty and from measures adopted, within the framework of those provisions, by the Community institutions; that, in particular, each time the Community, with a view to implementing a common policy envisaged by the Treaty, adopts provisions laying down common rules, whatever form these may take, the Member States no longer have the right, acting individually or even collectively, to undertake obligations towards non-member countries which affect those rules or distort their scope; and that, as and when such common rules come into being, the Community alone is in a position to assume and carry out contractual obligations towards non-member countries affecting the whole sphere of application of the Community legal system” (15). 25. The problem which remains for solving the aforesaid examples is to see if it is possible for the EU to adhere to the Rome Convention, as happened with the Athens Protocol. Indeed, on that occasion, the adherence of the EU to the Protocol was allowed because the same was open for ratification, acceptance, approval or accession by States and also by Regional Economic Integration Organisations which are constituted by sovereign States that have transferred competence over certain matters governed by the Athens Protocol to those Organisations. In other words, according to Article 17(2)(b) and Article 19 of the Athens Protocol, Regional Economic Integration Organisations (REIO) may conclude the Athens Protocol; that is to say, the European Union can adhere to such a protocol. Examining Article 31 and 34 of the Rome Convention, we will unfortunately see that the Convention will remain open for signature on behalf of any State and not to Regional Economic Integration Organisations such as the European Union (16). In other words, it is not possible to proceed as the European Union has already done with adherence to the Athens Protocol as we have seen before. Therefore, one solution for having a harmonised regime on third party liability for drones could be an agreement of the 49 States (all States which ratified the Rome Convention), finalised to amend Article 31 and 34 of the Convention in order to allow Regional Economic Integration Organisations to sign the Convention. Evidently, this is quite a difficult process. 26. Another solution in order to proceed as the European Union has done on other occasions is to provide for intervention by the Member State on the basis of the principle of sincere cooperation established by the Lisbon Treaty. By virtue of this principle, Member States could ratify the Rome Convention on behalf of the EU on invitation by the European Commission. In 1989 a similar solution was adopted in another sector by the European Commission, finalized to protect cultural goods (17). In view of the establishment of the Single Market, the European Commission pointed out the absence of a common regulation which could protect the cultural heritage of the single Member States from dangers arising from the abolition of all physical, technical and tax-related barriers to free movement within the Community. For this reason the European Commission invited all member States to ratify the 1970 UNESCO Convention (18). The ratification of the abovementioned Convention was a first step in order to achieve a minimum common regulation in the sector pending the intervention of the European legislature. 27. The principle of applying international regulations adopted for manned aircraft to drones, especially those regarding safety, has been accepted within the EU and internationally. This approach implies that other international regulations may be applicable, such as the Convention for the Suppression of Unlawful Acts against the Safety of Civil Aviation signed in Montreal on 23 September 1971, and the more recent Cape Town Convention of 16 November 2001. These international treaties, however, do not apply to military, customs or police aircraft. The Cape Town Convention seeks to create specific international protection, fully applicable in all Member States. The convention provides for the constitution and effects of an international interest in certain categories of mobile equipment and associated rights. On the occasion of the approval of the Convention, an aircraft protocol was signed; as a result, those regulations created for conventional aircraft may now also be considered for application to drones. 28. The market for drones for civil use is emerging, offering a wide range of applications, including security. The existing regulatory framework is limited and permits drones to fly in segregated airspace only. To unlock this market it is necessary to design a new regulatory framework allowing drones to fly in the common airspace. The basic principles for airworthiness, certification and licensing have already been identified. Today’s technologies are very close to allowing drones to offer the same safety standards as manned aircraft. What is missing is a liability regime, insurance and privacy protection. The absence of a clear legal framework has already pushed European institutions and international organisations to address several guidelines in order to proceed in setting up a new framework regulation on this topic. The legal instruments for reaching this goal unfortunately remain unclear. In this article we have tried to find several solutions for setting up a framework regulation that could help the insurance market to develop its services for this specific type of aircraft and the market in general to develop its activities for creating huge business opportunities for European enterprises and operators. (1) Riga declaration on Remotely Piloted Aircraft (drones) “Framing the future of aviation”, Riga, 6 March 2015. (2) The Chicago Convention is applicable, as stated by Art. 3, only to civilian aircraft and it is not applicable to aircraft used for State flights, military flights, custom and police flights. For such aircraft, excluded from the international ruling system, flying over or landing in other States is permitted only subject to previous special authorisation and conditions (Art. 3 letter c). (3) Art. 20 (Nationality mark) of the Chicago Convention requires all aircraft to display a nationality and registration mark. The following Art. 29 lists the documents that all aircrafts of the contracting States must carry on board. (4) Study on the Third-Party Liability and Insurance Requirements of Remotely Piloted Aircraft Systems (RPAS) Final Report November 2014, London, 22603201 SI2.661592, prepared by Steer Davies Gleave for the European Commission. (5) Annex 11 of the Convention, which is specifically dedicated to Air Traffic Services, including Air Traffic Control Service, Flight Information Service and Alerting Service, establishes the corresponding standards and practices. It contains an important requirement for States to implement systematic and appropriate air traffic services (ATS) safety management programmes. Similarly, Annex 10 of the Chicago Convention (Aeronautical telecommunications), which deals with Standards and Recommended Practices (SARP’s) on radio navigation aids used by planes is also to be considered. (6) Convention on Damage caused by Foreign Aircraft to Third Parties on the Surface, signed at Rome, on 7 October 1952 (Rome Convention 1952) and the Protocol to Amend the Rome Convention, as adopted and signed at Montreal on 23 September 1978 and entered into force on 25 July 2002. The Convention has only 49 parties (out of 190 ICAO countries). Only 12 parties have ratified the 1978 Protocol and these do not include any EU Member States or any of the other largest aviation markets, such the United States, China or Japan. (7) L. TULLIO, “Responsabilità per danni a terzi sulla superficie” in Enc.dir., Vol. XXXIX, GIUFFRÈ ed., Milan, 1988, 1423. (8) For example, the 1971 Fund Convention was ratified by 19 Member States of the European Union, and 24 EU Member States have ratified the 1992 Fund Convention now in force, see www.iopcfunds. org. (9) For example the Italian Civil Aviation Authority, which introduced the Remotely Piloted Aerial Vehicles Regulation of 17 December 2013, as last amended in date 21 December 2015, www.enac.gov.it. (10) S. BUSTI, “Le sanzioni in materia di trasporto marittimo, aereo, terrestre e codice della strada” in “Responsabilità per i danni a terzi dal volo di aeromobile”, cured by A. CAGNAZZO, S. TOSCHEI e C. POZZI, GIAPPICHELLI ed., Turin, 2012, pp. 388-403. (11) Art. 3.2 TFEU: “The Union shall also have exclusive competence for the conclusion of an international agreement when its conclusion is provided for in a legislative act of the Union or is necessary to enable the Union to exercise its internal competence, or in so far as its conclusion may affect common rules or alter their scope”. (12) Art. 3.1 of the Reg. 889/2002 establish that “The liability of a Community air carrier in respect of passengers and their baggage shall be governed by all provisions of the Montreal Convention relevant to such liability”. (13) 2001/539/EC: Council Decision of 5 April 2001 on the conclusion by the European Community of the Convention for the Unification of Certain Rules for International Carriage by Air (the Montreal Convention). (14) Council Decision of 12 December 2011 concerning the accession of the European Union to the Protocol of 2002 to the Athens Convention relating to the Carriage of Passengers and their Luggage by Sea, 1974, with the exception of Art. 10 and 11 thereof (2012/22/EU). (15) Judgment of the Court of 5 November 2002, Commission of the European Communities v. Republic of Austria, Failure by a Member State to fulfil its obligations – Conclusion and application by a Member State of a bilateral ‘open skies’ agreement with the United States of America – Secondary legislation governing the internal air transport market (Regulations (EEC) Nos 2299/89, 2407/92, 2408/92, 2409/92 and 95/93) – External competence of the Community – Art. 52 of the EC Treaty (now, after amendment, Art. 43 EC) – Art. 5 of the EC Treaty (now Art. 10 EC). – Case C-475/98. (16)Art. 31 states: “This Convention shall remain open for signature on behalf of any State until it comes into force in accordance with the provisions of Article 33”. The following Article 34 states “1. This Convention shall, after it has come into force, be open for adherence by any non-signatory State. 2. The adherence of a State shall be effected by the deposit of an instrument of adherence with the International Civil Aviation Organization and shall take effect as from the ninetieth day after the date of the deposit”. (17) The protection of National Treasures possessing artistic, historic or archaeological value: needs arising from the abolition of frontiers in 1992, Communication of the Commission of the European Communities to the Council, Brussels, 22 November 1989, Doc. COM (89) 594 final. (18) Convention on the Means of Prohibiting and Preventing the Illicit Import, Export and Transfer of Ownership of Cultural Property, Paris, 14 November 1970, portal.unesco.org.